Military schools for girls are becoming more popular today - military schools for girls information – affordable boarding schools and Christian therapeutic schools. Once a primarily male-dominated arena, the military school has started taking on the challenge of preparing girls for the role of serving in the military, or if nothing else, learning good personal values. The females go through the same academic activities as the males, as well as the same physical trials. The girls are expected to meet the same standards as the boys. However, it should be noted that there are currently no military schools just for girls — all military schools are either coed or boys-only. There are many reasons to choose a military school. If you have a mildly troubled daughter, you can choose military school to help her help herself. 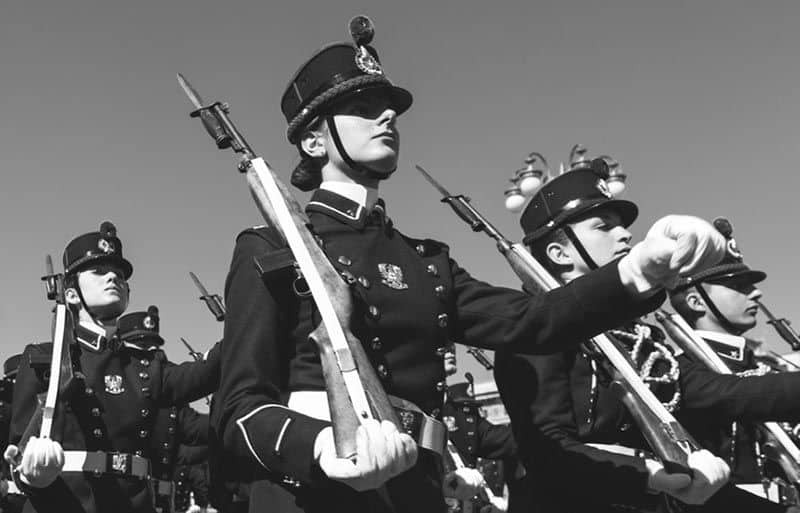 The regimented structure of military schools for girls will help to combat the “need for an image” problem that is occurring in today’s society. Nowadays, a military environment for a young woman can help her realize her full potential, build her confidence in herself, and develop independence, responsibility, and leadership qualities that will stay with her for life. All of these great benefits are combined with a solid foundation of academic excellence, which creates incredibly well-rounded individuals. As a co-ed military school ourselves, we have graduated many confident and capable women that have gone on to be very successful, attending Harvard, NYU, the Air Force Academy, and many other prestigious universities. So, even if you were hoping to find a girls-only military school, still consider a co-ed one. Girls can gain the same life-changing benefits of military schools that boys have been enjoying for years! You have two different types of military schools to choose from for girls: secondary and postsecondary. Secondary military schools are geared toward teens, whether they are troubled or not. The schools expose your teenager to discipline and responsibility, as well as a structured environment. This exposure can help to prepare for life in general, mainly because of the confidence and self-esteem they develop while they are attending the school. Postsecondary military schools are usually very competitive to gain admission to. They are designed to prepare you for a military career, and based on which branch of the serve you decide to join, there are specific colleges for you to choose from. If you are looking to advance up to a supervisory level while serving, then the military college is definitely a good choice for you. These schools are four year programs, just like non-military colleges. One such school is The Virginia Women’s Institute for Leadership at Mary Baldwin College. Military summer school is not the same thing as your typical summer school. The summer school that you are probably used to is when your student goes to school for at least half a day during the summer to make up for a failing class. This is so that they can continue in the fall with the rest of their class. The military summer school focuses less on academics and more on hands-on activities such as crafts, sports, and woodworking. Some activities as these summer schools include confidence course training, land navigation, athletics, and adventure training. There are some academics to prepare students for the upcoming school year and SAT preparation if they are interested. Military boarding school for girls will teach your daughter the value of leadership, self-confidence, discipline, and responsibility. They also give her a step up if she decides to pursue a career in the military. The main thing to remember is that your daughter does not have to be a troubled teen to attend a military school and most military schools do not ordinarily accept troubled teens with severe behavioral or mental issues. However, f your girl needs discipline or is considering a career in the military, then attending one of these schools can give her a boost in that direction. It will give her the discipline needed to succeed and she will become accustomed to the regimen of a military school for girls. You will want to do your research on the different military schools for girls and what they have to offer. They are located all over the United States and many of them offer financial aid packages. Good luck in your search for the military school that fits your daughter’s needs. Should you need help finding residential schools for troubled teens, schools for troubled teens, and Christian therapeutic boarding schools please let us know. Military schools offer structure, mentorship and a safe environment that limits distractions and temptations that can detract from academic and personal progress. Still, military schools are not always the right choice for every young person. While military schools offer structure, and academic and athletic discipline in a controlled environment, military schools are not intended to act as a rehabilitation program. Military schools want students who wish to prepare themselves for a future in a collegiate, military, or professional setting.